There are Americans in Tenkara that are ambassadors and Rob Gonzalez is one of them. I have not had a lot of interaction with him but our circles do intersect. I did happen to meet Rob at the 2015 Tenkara USA Summit. It was a short meeting but we did meet and chit chat about Tenkara. I believe it is people like Rob that makes Tenkara such a cool community. His demeanor is kind; he is knowledgeable and certainly helps others realize their own potential while fishing Tenkara. Reading around the Internet, I see that Rob has a lot of friends and is always found in the circles that help others. I wanted to personally get to know him a little better so I asked him to sit for this Interview. He graciously accepted and with that, we will begin. Adam: I would like to begin our Interview with a personal thank you for being such a nice guy. You represent Tenkara well. I like it that you have a lot of energy for teaching and sharing the method. It’s not always easy but in your case, it sure seems that way. Rob Gonzalez: Adam thank you for this opportunity; although we did meet at the Summit last year, there was so much going on that we didn’t get a chance to talk long. I enjoy following your knowledgeable and informative posts online as well as your tenkara-fisher.com website. I look forward to this interview. Adam: I didn’t really know much about your personal life. Before we did this, I asked for a couple of paragraphs describing who you are. Rob, we are very similar. You are a native of Texas where you live; I’m a native of Phoenix. You have some surf in your background, mountain and sea and other stuff too like the fishing. You summed it up so well in a message to me; I think doing that here would be a good opener. 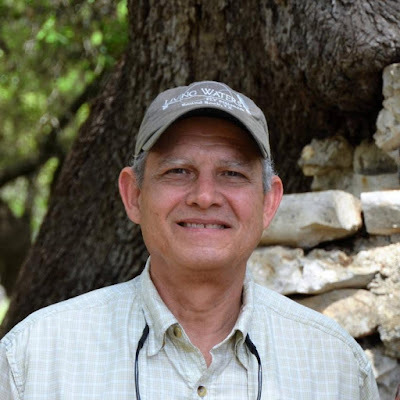 Rob Gonzalez: I’m a 61 year old native Texan who grew up on the coast before moving to Austin in ’73 to attend UT. My early fishing involved both heavy bait casters and spinning gear using bait. I didn’t fish in the Central Texas area much after moving here since freshwater didn’t really appeal to me at the time after growing up fishing saltwater. My family still lives on the coast, so trips home usually involved spin fishing which later migrated to hard and soft artificial baits. Even after I began learning to fly fish, there was always spinning gear close by on the windy Texas coast. I’ve always been pretty restless bouncing from hobby to hobby. 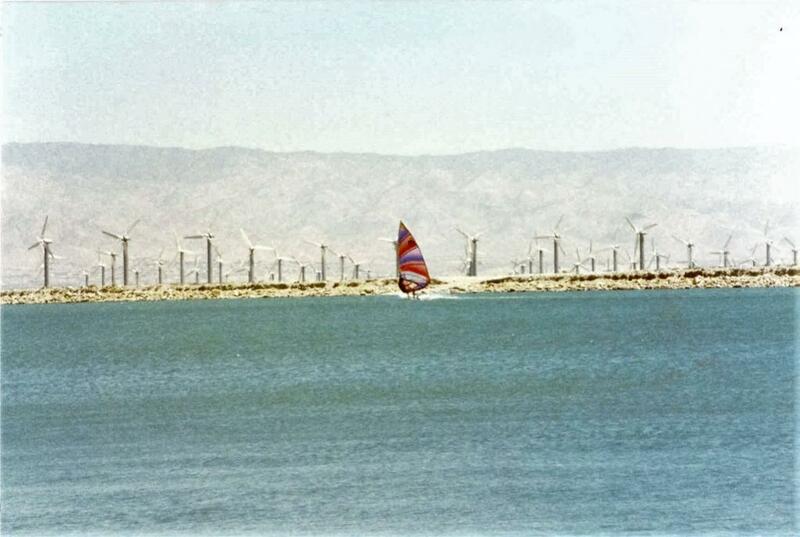 In the 80’s, my life revolved primarily around windsurfing and mountain biking, both of which were introduced about that time. Fishing went to the wayside until kayak fishing started to get popular and the gear I used started to diverge between UL spinning tackle and fly fishing gear. My fly tying interest began almost 20 years ago through a class at a Texas Parks & Wildlife Expo and has been a large part of my life since. Sometimes I think I enjoy tying flies as much as fishing. Other interests have included years of tai chi practice, snow skiing, racing R/C sailboats, R/C gliders, sailing big boats with friends, astronomy and the black hole of telescopes, photography, golf both frisbee and traditional, stunt kites, a short experience with my first motor boat, motorcycles, computer gaming first person shooter games (which is a huge waste of time but fun), reading whenever possible, aquariums salt and fresh, and a dabbling on and off with guitars and ukuleles. Tenkara and fly tying has since grounded me as I try to focus on less hobbies as I’ve gotten older. It opened up many new fishing opportunities and friends in the area and across states, but I still wander occasionally and find myself recently fascinated by the two handed micro Skagit world which like Tenkara, emphasizes use of less energy to maximize results. I’m passionate about Tenkara and enjoy sharing it with others. Adam: We both participate in a social media group started by Daniel Galhardo. I have been fly fishing for a long time. Way before social media and I created a forum based web site on small stream fly fishing early on. 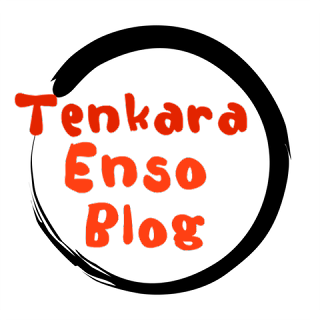 I have my own perspective on the growth of Tenkara from the reflection of the reporting on it through forum members, friends and reading. I’ve been paying attention to your input into the different aspects of Tenkara through Daniel’s group and I must say that I enjoy your perspective. I learned Tenkara through my own research about it. I received my first Tenkara rod from Daniel but that immediately sent me down the road of researching it on my own. There was no way that it was just this simple. The guys Daniel brought along with him, Prof. Ishigaki and Masami Sakakibara portrayed such a simple style of fishing along with Daniel’s videos and his commentary. I thought Tenkara couldn’t be that easy. It had to be hard, fly fishing was hard to learn. I had no idea what to think. Was it my experiences fly fishing that made Tenkara so effective? Was it the level line not slapping the surface of the water? Or the fly just landing and not dragging? I couldn’t really conceptualize it quickly. I just knew that I started catching a lot more and harder to catch fish using techniques I was already using in fishing my lite line fly rods. How could it be so easy? And how could this young man (Daniel Galhardo) have nailed it? Rob Gonzalez: I have a huge admiration for Daniel Galhardo. I’m only in my fourth year of Tenkara, so I missed the first three years of Daniel’s introduction of Tenkara to the West but I jumped on the band wagon as soon as I could. I’d read about Tenkara online but I’d never seen a Tenkara rod in person until I saw a Tenkara USA Iwana at Orvis. Once I fished it and experienced it’s simplicity compared to the struggles I had experienced in conventional fly fishing, I was hooked. 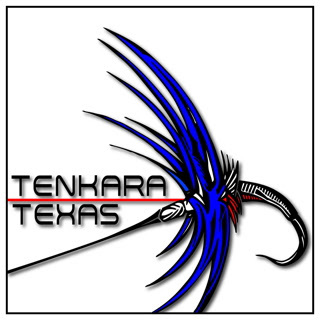 Shortly after I started my Facebook group “Tenkara Texas”, Daniel contacted me personally and I’ve been trying to spread the word ever since through various presentations and demos statewide. Adam: Daniel’s insight and courage to introduce something so old yet so new to the fishing community in general has been amazing. Tenkara has not only been a start for many as they become introduced to fishing for the first time - it’s also been something many seasoned fly fishing anglers have been drawn to because to it’s simplicity. That’s truly an incredible accomplishment we all owe Daniel as Tenkara anglers. Daniel brought Prof. Ishigaki and Masami with him to America to further show his customers (and everyone else) another level of Tenkara beyond just learning to fish. As I started to investigate Tenkara on my own, I found out these guys were available but a little difficult to talk to since they only spoke Japanese. Distances aren’t so distant by the Internet and I approached them through introductions in e-mail. I persisted and interviewed them just as I am interviewing you now. Their Interviews opened my eyes so a larger, more broad sense of where I could take my own practice of it. Rob Gonzalez: Tenkara’s portability, lack of unnecessary gear, ease of use, and most importantly it’s effectiveness as a fishing method amazed me. Today Tenkara is what I fish most of the time but I still enjoy casting a conventional fly rod, maybe because it is more difficult? I also enjoy fishing saltwater when possible and chasing species not appropriate for Tenkara throwing flies much larger than Tenkara should handle so for that I use conventional fly fishing gear or the spinning tackle which I still have. There are many types of fishing I enjoy, but by far Tenkara is my favorite. Adam: I learned with Tenkara USA rods, my first one was the Ebisu and I loved it. I had no idea what was behind this form of fishing. 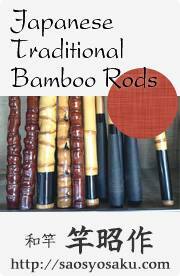 In 2010, I already had my first Japanese rod and had been chosen to represent them in North America. I set up dealerships in other countries but I really liked how Daniel Galhardo spread Tenkara, the Japanese method of fly fishing. At first, I thought Dr. Ishigaki and Masami Sakakibara worked for him because he brought them here as representatives. Little did I realize that they were his competition at the time. With the help of my Japanese friends, I found out the truth, they knew about Daniel Galhardo and Tenkara USA. I knew that I could not have done what he did and continues to do with so much goodwill and great style. The Summits he put on were alluring to me and I finally attended one in 2015 at Estes Park. It was an amazing event. I got to meet my friend, Yoshikazu Fujioka. I had known him for 18 years and now Daniel was introducing us. I’ll cut to the chase, I just want you to know how I feel. Rob Gonzalez: Tenkara USA, Daniel Galhardo, and John Geer have been so supportive of me over the years. I too learned on Tenkara USA gear and that is what I use most of the time. 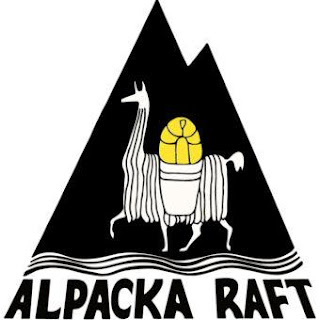 They have great products and their customer service is top notch. I was even involved in introducing Tenkara to the only Tenkara USA dealer in the state. Like any other business, there is going to be competition and areas where people try to find their own niche. Nowadays, as Tenkara is more recognizable, I get asked all the time at my presentations “Where can I get one?”. My answer is always “Don’t just look at the gear but look at the support. How long has this company been in business, what other products do they have, are they just copying or are they being innovative too”. As I get an opportunity to see and try other rods, there is an incredible emerging marketplace. Things like the Tenkara Jam, where many vendors are under one roof, is an excellent opportunity to see and try so much gear and more importantly, personally meet many of the vendors. It’s becoming overwhelming. I’ve had the opportunity to meet and become friends with several other vendors and many are just as passionate about their products. Some of the newer high end gear is also incredible, but honestly, like many hobbies, gear doesn’t make the player. There is so much to learn on presentation alone, for example. Adam: I don’t think that I could have done a better job. At a point early on, I realized that Daniel Galhardo was the best person to introduce it. Hopefully others would follow his lead. As you can see, I am faithful to Daniel. When anyone has brought such delight to my fishing, such a cool way to enjoy my time in the forest, I will be forever thankful to him for that. I understand that you are a wind surfer. Rob Gonzalez: Windsurfing was my first true passion. When I was in the water at a lake or beach, I was in familiar elements I grew up around. Windsurfing could be peaceful and relaxing or physically demanding and even frightening at times depending on the conditions. I was glued to wind reports and weather forecasts and was always on the heels of my sponsored friends looking for any deals on their used gear. Unfortunately, I don’t windsurf anymore – not sure why I stopped? Kitesurfing was the next progression. 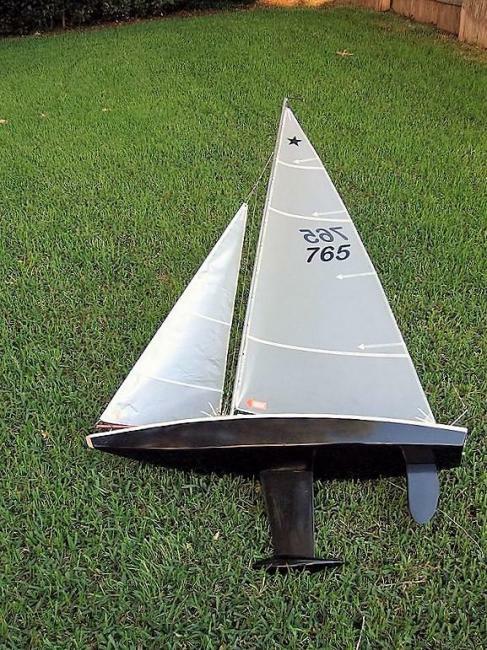 I bought a practice kite and the videos, but never made it to the water. The closest thing was watching the pros at Kite Beach on Maui. 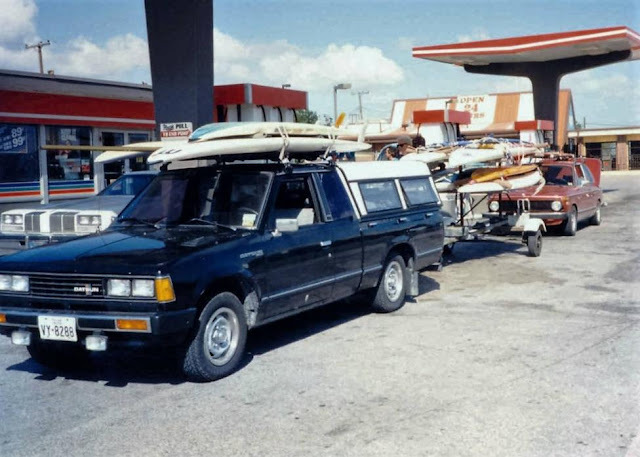 We had a lake house for a few years and I later collected some windsurfing relics I couldn’t afford back in the day and even accumulated some gear from trips to Hawaii my wife and I made. I just sold my last bit of windsurfing gear this year as my wife and I try to minimize and focus on the things we really use. I miss it and still enjoy the images and videos. Adam: In short, I am an accomplished fly fisher. I have quite extensively fished streams, rivers, lakes and the ocean, all with fly rods. I have made a dozen or so bamboo fly rods from raw materials and I’ve assembled several dozen graphite rods from 1 to 10-weights and have fished them all. I did all this before 2009 when I started Tenkara. Rob Gonzalez: I touched on the micro Skagit two handed method using OPST Commando Heads. I honestly think this stuff will define a style of it’s own in the fly fishing world. It can be applied on a single handed rod or a light switch rod. We’ve been adding lower handles to our single handed rods with great success. It’s not as complex a system as Spey but does incorporate some of it’s fundamentals like establishing an anchor. It’s easier to learn I think, uses much less energy than conventional casting, is accurate, modular with the different short heads and tips, and is very effective. Sounds like something else familiar … tenkara. Adam: I think it took me a few years to take out or un-do the Western fly fishing in my Tenkara. Yes, I still cast to the same places, not exactly true but I still get the kebari (fly) to where the fish are. I use a Tenkara rod differently than I cast a Western fly rod. I realized this when I started to fish even more minimalist patterns. I carried less than a dozen different patterns prior to 2009 and even less once I learned Tenkara. I only fish one pattern now. Rob Gonzalez: I admire the idea. There’s much to be said for concentrating on presentation and other techniques instead of worrying about your confidence in a fly. I play with it sometimes, but I haven’t made that kind of commitment … yet. I tie too many flies and usually have a handful of ideas I like to try when I hit the water. Adam: Everything about it is hard except the fishing. What I’ve learned about it is that “one fly” is about confidence and learning to use your equipment and observing trout behavior with a more discerning eye. Instead of focusing on what you don’t have, I focus on my surroundings. What are the fish feeding on and where really comes secondary to getting the fly in the feeding zone and either imparting some action on the fly to stimulate the trout into striking and or completely dead drifting the fly through the feeding zone. Rob Gonzalez: I have confidence in several patterns depending on the target species. We have such a variety of fishing available from cold water stocked trout to warm water bass and sunfish to even saltwater. Personally I love a top water bite and prefer anything from foam or deer hair bugs to CDC dries on light gear. I’ve been playing more with the DRAGONtail HELLbender throwing larger streamers and poppers this summer though and working on those techniques. I always throw kebari as well, I just don’t have the confidence in them yet and don’t get a chance to fish for trout on small streams as much as I’d like. If that were the case, I think I would use kebari much more often. Adam: Early on when I started to teach Tenkara to my friends and people I sold the Japanese rods to, I taught them how to cast the rod to small stream trout. I basically taught them to substitute their Tenkara rod for a Western fly rod. Use the flys you would normally use casting where you normally would. I don’t do that any longer. Now, I report on what I have learned that Tenkara is (to me) in my fishing stories and collective articles about Tenkara subjects. I have a whole lot of rare Japanese footage, movies of Japanese Tenkara experts. They fish Tenkara differently than Western fly anglers do. Yes, they fish in a stream for trout and catch similar to what Western fly fishers do but they use different types of casts and presentations. It’s really quite subtle, the differences in the two disciplines, the choices that Tenkara fishermen make. The primary difference is in the lengths of the rod and the light lines that Tenkara anglers use and the types of fly. It’s mostly a matter of equipment differences and the techniques to use that equipment that defines the differences between the two genres. Again, “one fly” and strictly adhering to that over and over really teaches the ergonomics and efficiency of using one pattern in the whole water column, it reinforces Tenkara, the method. Most Tenkara anglers in America do not practice one fly nor do they teach anything beyond, what they have learned substituting their fly rods for Tenkara rods. People new to fishing that choose Tenkara have a multitude of Tenkara videos at their disposal, again, most of it is how Americans have learned Tenkara and are sharing it. There are many English written titles (books) on fly fishing with fish (trout) behavior and feeding, how to simulate the presentation, the fly to that food source, matching the hatch. It’s really all fly fishing in general but I do think Tenkara, as simple as it is, the methods the experts use is different than what the masses do. Maybe you understand my point? Perhaps it is my perspective having had the experiences here and in Japan, learning from experienced teachers and my experience with fly fishing and now Tenkara for many years. Rob Gonzalez: I’ve really enjoyed presentations by the Japanese masters at the Tenkara USA Summits. I’ve also been studying the excellent videos by Paul Gaskell and John Pearson of Discover Tenkara and what they share with their experiences in Japan. No doubt styles are different. Maybe it’s still too new for the West? I’ve noticed that as my Tenkara techniques and casting accuracy have improved, that I often hit targets without even thinking about it now. It’s almost subliminal, whereas to hit these small targets with Western gear would be much more difficult for me. Another important difference is the amount of time the fly is in the water compared to Western techniques … that’s huge for effectiveness as a method for Tenkara. Of course the long rods and light lines enhance the method even more as you said. Like anything though, true masters have put in the time to develop the subtle presentation techniques you mention. They study the details and observe others. Video today could be a huge advantage for illustrating much of this information, but being on the water and practicing them, like any other sport, is invaluable. One fly definitely removes the distraction of fly inconfidence and forces you to evaluate presentation. But different flies like poppers and streamers, etc all have their own subtle presentation techniques to learn as well. Competition or pro fisherman wouldn’t very effective or profitable unless they had a vast array of experience, knowledge of their surrounding conditions, and confidence in their flies or lures. Adam: Rob, is there any questions that you want to ask me? I think a couple of my questions may be difficult. My enthusiasm for fishing runs really deep and I want to be clear. Rob Gonzalez: I have a question for you Adam. I know you fish with a small quiver of rods and not necessarily the latest and greatest. I think you believe in improving with your older rods rather than thinking you need new ones for that purpose. In other words, it’s a personal rather than an equipment progression. You like to fish the “one fly” method to study your presentation. Personally, I kind of mix it up. If there is a cast I can’t seem to make, or a drift I want and can’t seem to get, I’ll stop ‘fishing’ and work on that problem before I return to ‘fishing’. Adam: Old rods... I think my oldest rod is about 23 years old, a Sebata-san HZ by Daiwa. I use it with lines Sebata-san gave me along with kebari he tied for me. I use this system to teach with. As far as "training" goes, I have a tuna can and a 25cm and 50cm masonite discs that I use for casting practice and to check out the accuracy of a rod or a rod and line system. I do a little accuracy practice now and then but it's really all about using a system to check the accuracy of a rod/line system. That tuna can keeps me honest, it allows me to see my progression and my skill. It helps me from breaking off a lot of flys, I don't get hung up nearly as much as I did in the beginning. Accuracy is paramount in my Tenkara. If your fly isn't in the water in the right spot, you won't catch fish, even if the hatch is matched. I use the wrong fly in the right place and I prefer the wrong fly in the right place every time. Rob, as far as I can tell, Tenkara is still growing but it seems like it is at a slower growth now. I could speculate why but that is not my interest. My interest is in where Tenkara is going. I see Japan as the future of Tenkara in the USA. Not like we are going to Japan or the Japanese are coming here. Going back to Japan every couple of years is my future but the future of Tenkara has already been mapped in Japan. 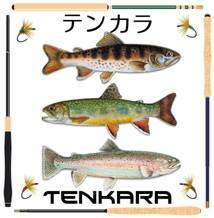 “Tenkara” is a catch all phrase for fixed line fishing, how it plugs into the American fishing sphere. Sure, we have cane pole and crappe rod fishing with fixed lines. We have anglers that call Tenkara “cane pole fishing” like it is derogatory, whatever… and everything in between. The future of “Tenkara” or fixed line fishing has already been mapped out in Japan. As long as there are people like me that have an understanding of the past, present and all the types of fishing with nesting rods in Japan, I’m going to continue to write about my observances. The Japanese have already done what we have done in America, long before we have done it. They have gone to Alaska with their long rods and have battled huge salmon. They have used their bait rods for big carp, scaled down telescoping rods for tiny fish, developed specialized rods for the different types of fish that are indigenous to Japan. They have fully developed equipment and techniques in fixed lines for fishing in general, stream, river and ocean, even in lakes. So I see the future of Tenkara (fixed line fishing) in America as a repeat, NOT innovation, re-invention from my perspective. Do you have any thoughts on the future of “Tenkara” so to speak? Rob Gonzalez: Exactly, I enjoy introducing Tenkara to folks for the first time and especially seeing their smile after they’re casting well in just minutes. It’s also very interesting for me to listen to those in the American and European Tenkara community with more or different experience. Fishing means different things to different people and I think what we’re seeing with Tenkara in it’s short existence in the West, once people become more experienced, is a self search for what Tenkara means to them. It’s a plateau that some might not move beyond for one reason or another. Do they focus their energy on teaching others, are they getting bored and want to explore new techniques, locations, or flies and find a new personal Tenkara? Do they want to become fly tiers and start developing confidence in their own flies? There’s truth in the power of catching fish with flies you tied yourself. It does reinforce your fishing even more. There’s always the feeling imposed by marketing that you need more, better gear but do you really? Isn’t there enough to learn with what you already have? Sure at some level better gear can be appreciated by those with more experience but it’s not necessary. I don’t know if I feel a slow down as much as a saturation of the market. More gear is available, more decisions have to be made. I’m the first to admit that I find it hard to resist the temptation of new stuff … besides, look at my hobby addictions. Whether all Tenkara has already been done in Japan, time will tell. With all the innovation in rod, line, & fly materials I think all fishing will continue to push it’s limits. Does it need to, certainly not but it’s the nature of the beast. Adam: I want to thank you for hanging in with me. I really enjoy what you do. Please include anything that you would like to place here. I appreciate your participation Rob. Rob Gonzalez: Thanks again for this opportunity Adam! The Tenkara community has really become a close knit group of friends. 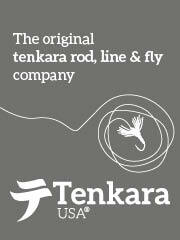 As our local Tenkara family grows, I look forward to conversations with others on many of your topics.